When the Talent 2 suburban trains used in the German city of Nürnberg, or Sweden’s Regina intercity railway wagons reach the end of their lives, more than 90% of the metals, plastics, glass and other materials could be melted down and turned into other products. The same – at least in theory – is true for countless other products found on roads, rails, factories and in households across the European Union. Seeing all these objects as a future material resource, an EU advisory panel is recommending that goods manufactured and sold in Europe have a ‘product passport’, or a declaration of what materials are used and their potential for reuse at the end of the product’s life. The European Resource Efficiency Platform, a high-level group comprised of business, government, consumer and environmental representatives, has issued recommendations saying that product passports would improve resource efficiency, encourage innovation and generate jobs across Europe. 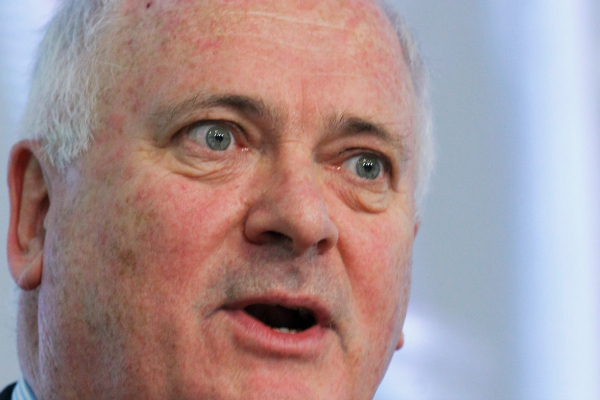 "This passport will, if adopted, be a key building block in the institutional infrastructure of a sustainable society,” said John Bruton, a former Irish prime minister and EU ambassador to Washington who chairs the platform that advises EU officials. “It harnesses business self-interest in a way that can be transformative,” Bruton told EURACTIV. “Businesses will want to use the passport as a competitive tool, which can eventually become a business standard." In June, the platform recommended a series of measures that it contends would reduce raw material requirements by up to 24% while creating jobs and putting Europe in the lead in resource innovation. Besides the product passports, the group called for the end to fossil fuel subsidies, and below-market prices for the use of water in agriculture, energy and industry. It also proposed government schemes to help smaller and medium-sized businesses to source sustainable materials, and urged all companies to adopt sustainable sourcing standards. The platform was created as part of the European Commission’s roadmap to a resource-efficient Europe. The Commission plans to publish its final recommendations by November. Environment Commissioner Janez Poto?nik has pressed for boosting the efficiency in both the production and disposal of goods. In a statement, he called the special panel’s recommendation for product passports “the way we need to go” in advancing EU policy. Some companies are already using product passports, or environmental product declarations, known as EPDs, on a voluntary basis. These document the materials used in production, their recycling potential and any toxic materials contained in a product that should be separated and safely disposed of before recycling. Among the companies providing such detailed disclosures is Bombardier, the Canadian aircraft and train manufacturer that supplies the Talent 2 regional trains operated by Deutsche Bahn and the Regina intercity models in Sweden. The declarations also provide an estimate of lifetime energy and resource use of products. Supporters of such disclosures say it does not undermine a company’s competitiveness because only materials are reported, not the trade secrets of how they go into product. They also see job and business potential by reducing Europe’s dependence on imported raw materials by mining waste for metals, minerals and other resources. In some cases, EU laws or policies are already in place to do that but enforcement is spotty. In other cases, stronger incentives may be needed. Last week, for example, Europe’s plastics industry called for an EU-wide ban on the landfilling of plastics to spur the recycling market. Some of Europe’s biggest food, beverage and consumer goods producers have also instituted voluntary standards on sourcing and reporting. Bruton said that far from hurting European competitiveness, product passports give EU manufacturers an advantage over their competitors and marketing muscle. “I don’t want to overstate the merits of this to a point that it becomes unbelievable,” he said of his panel’s recommendation. “But the reality of it is that Europe as place to produce needs to have some unique selling cards," he told EURACTIV in a telephone interview. "Low-cost labour is not going to be one of the unique selling points of Europe, low-cost energy is not going to be one of the unique selling points of Europe, so it needs to search for others and producing products that enable purchasers of European goods to more easily recycle those goods and get [added value] out of them has the potential to contribute to creating a unique selling point for European producers,” he said. Resource efficiency is one of the seven flagship initiatives in the 'Europe 2020' strategy for sustainable growth and jobs, endorsed by EU heads of states in 2010. The concept means decoupling economic growth from natural resource use – including raw materials, commodities, water, air or ecosystems. The European Commission unveiled its Roadmap to a Resource Efficient Europe in September 2011, recommending the introduction of resource-efficiency indicators and targets across the bloc. The roadmap followed the adoption of a first policy paper in January 2012, which established resource efficiency as the guiding principle behind EU policies in almost all sectors – energy, transport, commodities, industry, agriculture, fisheries, biodiversit, and regional development. Wonderful until the bureaucrats become involved. My company delivers new cars and sought to set up a collection service for “scrappage scheme” cars, this makes good sense logistically and environmentally. Great until we discovered that the fully roadworthy car to be scrapped, immediately on arrival at the garage becomes hazardous waste and requires specially trained drivers and a permit to cross each and every one of the local authorities territories it crosses on its way to disposal. We will probably end up with “passport control” points along the way to disposal, its important to keep bureaucrats in full employment! !